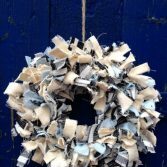 Looking for spring wreath ideas that will brighten up your home? Make a hydrangea wreath. It is very easy to make and will update your home beautifully. 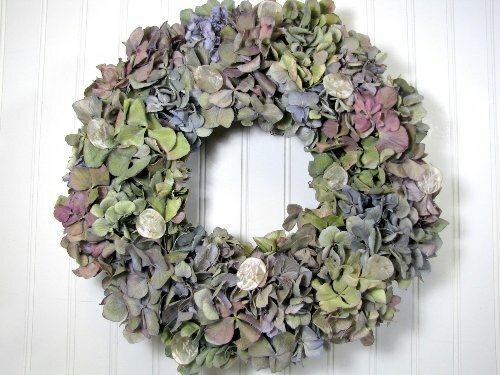 Hydrangeas come in amazing colors like violet, chartreuse, and dusty rose so you can make as many wreaths as you want. The best part about making a hydrangea wreath is that you don’t need many supplies. 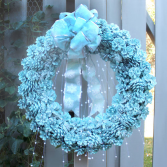 Take a look at our hydrangea wreath tutorial and see if you have the supplies. If you don’t we’ve provided helpful links to the materials! 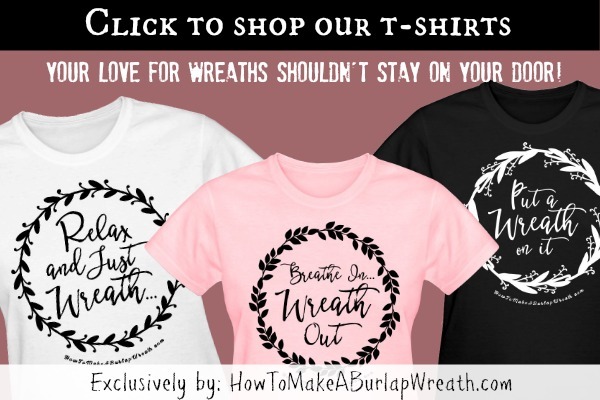 Many homeowners decorate their homes with store-bought wreaths because they think that making wreaths is a difficult endeavor. Nothing could be further from the truth! 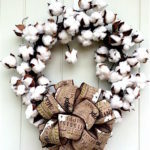 Making a wreath can be a fun, quick and inexpensive process, especially if you use natural elements. 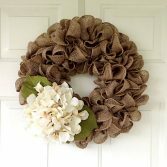 Make a hydrangea wreath first then try other spring wreaths. Without a doubt, your home will be filled with spring cheer. Wrap the paddle wire around a small part of the wreath form. Place one hydrangea bunch on top of the wrapped part and secure it with the wire. Repeat the procedure for the other bunches of hydrangea and make sure they overlap. Alternate the hydrangea colors for a striking effect. When you place the last bunch on the wreath form, cut the wire with the clippers and secure it to the frame. 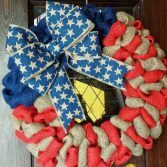 Place your wreath on the front door, on the garage door, on an exterior window, or indoors. Spring wreaths delight the senses. They not only look gorgeous, they add fragrance to the air around them. 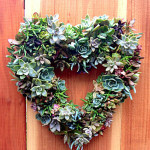 After making this spring wreath, start working on your next one. 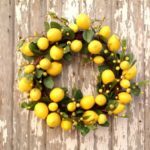 Research spring wreath ideas and learn how to make fern wreaths, rose wreaths, berry wreaths, yarrow wreaths, and much more. When making your wreath, work on a flat surface to ensure it turns out the way you want it to. You’ll also find it easy to add flowers, leaves, and ribbons. Only hang your wreath when you are done. 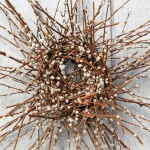 For other spring wreath ideas try this deco mesh spring wreath tutorial, here.